Sam Hotchkiss – Page 2 – Terrible at taglines. John O’Nolan, the founder of Ghost, flew from Egypt to Las Vegas just to talk at a WordPress conference about the importance of contributing to open source software in a talk that was equal parts entertaining and inspiring, and is a truly must-watch video from LoopConf. You too? Come say hi, I’ll be at the Jetpack booth. Bill Clinton has made more than $100m in speakers fees since leaving the White House. Which made the New Yorker ask: How Much Money Does Bill Clinton Need? 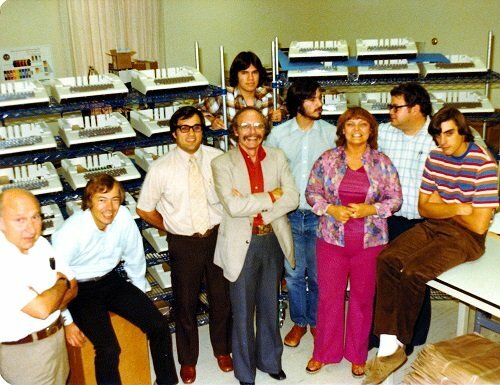 This article from the SF Gate gives us a peek into the early days at Apple. A picture is worth a thousand words. Our team had used Campfire for years, and I’ve never quite been able to put my finger on how Slack has found such success where Campfire and HipChat were unable to break through on anywhere near the same scale. Andrew Wilkinson of MetaLab, the agency responsible for the design of Slack, provides some insight. Why Silicon Valley Will Continue to Rule. Interesting article from BBC News about the first weather forecasts: The birth of the weather forecast.